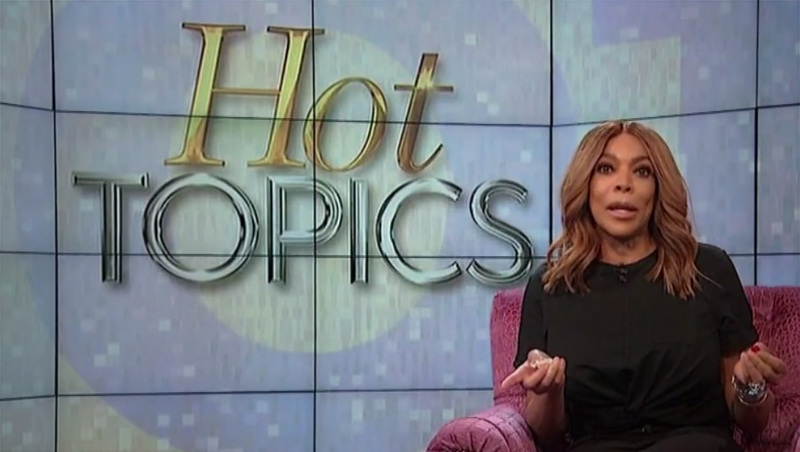 Wendy Williams made no mention of perhaps the “hottest topic” her audience wanted to hear about — her own divorce — on Friday’s episode of her syndicated talk show. According to TMZ, Williams, whose legal name is Wendy Williams Hunter, had her husband, Kevin Hunter, served with divorce papers Thursday. The papers were reportedly served to Kevin, who serves as Wendy’s manager and executive producer, while he was at work in the studio complex where the show is taped. Meanwhile, on Friday, April 12’s episode, which was taped Thursday “just hours” after the papers were reportedly served, Williams made no mention of the divorce. She did, however, mention that she had “a situation going on” with her ankles swelling — though some were left wondering if that was a veiled attempt to mention the reports of divorce. Wendy reportedly filed for divorce from Kevin Wednesday after well publicized reports of him cheating on her and allegedly fathering a child with his mistress, was reportedly born one month ago. It’s worth noting there could be multiple legal reasons Wendy can’t mention the divorce on air — including to protect herself in any such proceedings. The show is renewed until 2020 and it’s not immediately clear how a divorce could affect the show, if at all, given Kevin’s role as exec producer. The couple has one son, also named Kevin.